Product prices and availability are accurate as of 2019-03-02 06:12:52 EST and are subject to change. Any price and availability information displayed on http://www.amazon.com/ at the time of purchase will apply to the purchase of this product. 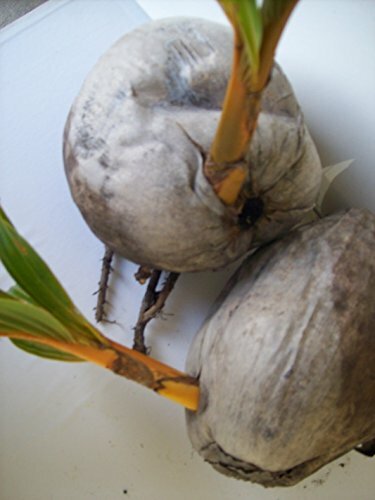 1 Sprouted Coconut Yellow tree plant, straight from Miami, Florida, easy to plant and grow and may live indoor for years. Sprout may vary in length and leaves and coconut may be of any shape. Bring Florida and the Tropics inside and outside your house. We also have perennial, exotic varieties of chewing, juicing, planting sugar cane. Check seller's other items. Thank you for your purchase. Fast shipping !!! COCONUT CARE It is very easy to grow. As soon as received, place it in a container filled with well-draining potting soil or directly in the soil were you want it to grow. The container needs to be around 12 inches deep to allow for the roots to grow properly. The coconut point side should be above the soil. 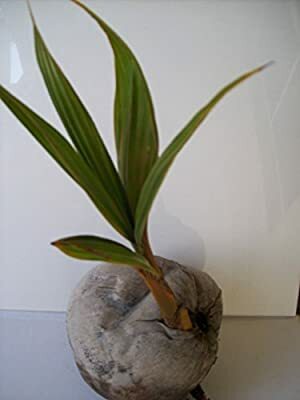 After planting the coconut in well-draining soil so that the bottom 2/3 of the coconut is in the soil (do not cover the top), place it in a warm area and water frequently. 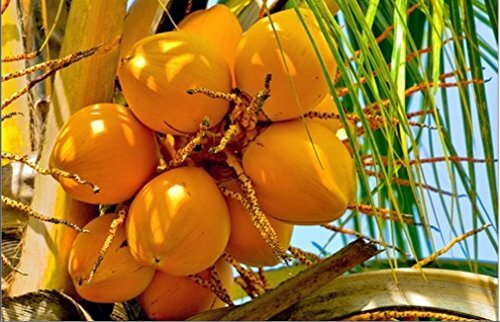 Coconuts do best in spots that are 70 degrees F. (21 C.) or warmer. Additional Care: The tree should be watered immediately after planting and frequently early morning or late night thereafter until the tree is well established. Three to four inches, but no more, of mulch applied to the soil surface around the tree will help retain soil moisture. After the plant is established at least 1 inch of water should be supplied weekly by rainfall or by irrigation, especially during the first year following weed growth transplanting. if you are satisfy with your purchase, positive feedback is needed to help us and other prospective customers. We will gladly return the courtesy. Thank you for buying from us. May be different from pictures but HEALTHY and ready to grow more.